Sniper Shot (Rank 2 including sniper rifle) "
Betrayal (Severe): After the murder of his family and his own near death at the hands of Cal Krart, the Imperial slime sent to "maintain the allegiance of his clan to the Empire", Odannir developed a intransigent hatred for the Empire and swore vengeance. 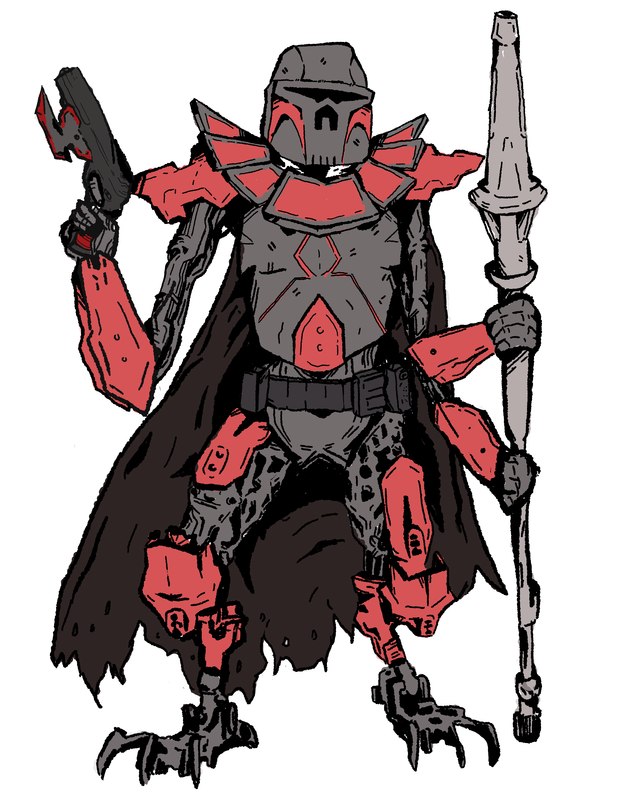 Responsibility (Moderate): As one of the last few Non-puppet members of the Ordo Clan, he has a responsibility to the people of his home planet, Ordo, as his family has governed it for millennia. Vigilante (Moderate): In this lawless galaxy where the strong prey on the weak, there must be a balancing force against the great evils that exist. Duty-bound (Moderate): In the short time he has found himself in this line of work, Odannir has made a name for making good on his contracts. He takes great Pride in his work ethic and to fail in doing so would, in his eyes, fail to meet the standards of Clan Ordo.